There is a sweet little period of time where it warms up just enough to wear a lovely dress here in Texas and not feel like you stepped into a furnace. That time is now! From March to April Texas is a plethora of blooming wildflowers, beautiful blue skies and the perfect temperature. Word of advice: July and August are not your friends if you are a planning a trip out West unless you prefer 100 degree weather. In that case, be my guest. For most, a good 70-80 degrees is by far the best time of year to visit. So mark your calendars for next year or hurry on over now to see all of the beauty Texas offers. I’ve lived in Texas my entire adult life for a reason. The people are kind, everyone says Howdy to strangers and the flowers….oh, the beautiful flowers. Texas is a place to come to if you want to see a horse ride alongside a country drive or cows and ducks hanging out in pastures. One of the other things I love about this state includes all of the small towns scattered across. I live to find these hidden places and today’s post was shot in Navasota. I’ve posted in this location a few times before to include Veronica’s Daiquiri Shop and this lovely yellow dress shot two years ago. Navasota sits about an hour outside of Houston and makes a fantastic day trip. You can visit Martha’s Bloomers which has the prettiest cafe where you can order tea, brunch and dessert. Another big influence for Texas style is that we border Mexico. In fact, we have our own taste of Mexican food called Tex-Mex which is hands down some of the best food I’ve ever eaten. 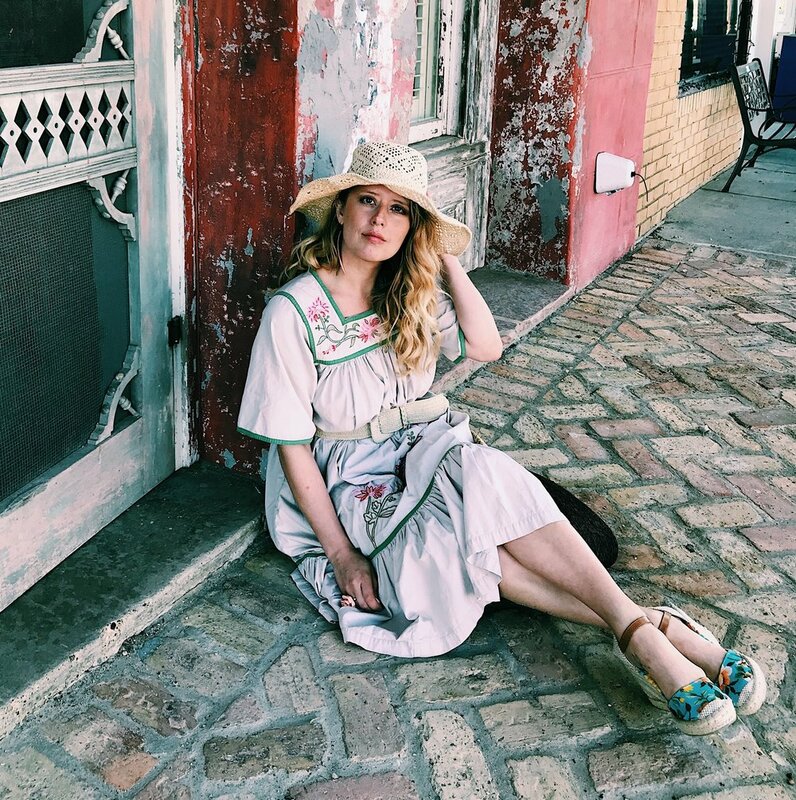 In Texas you can wear Mexican embroidered tunic dresses, espadrilles and a hat is necessary to block the blazing sun that radiates from our wide open skies. 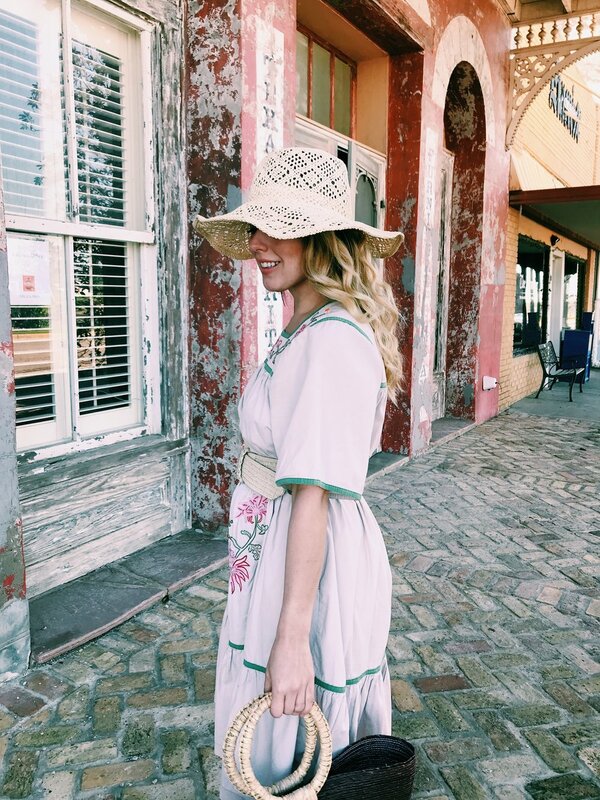 I found this Mexican style dress recently second-hand along with the belt featured in today’s look. 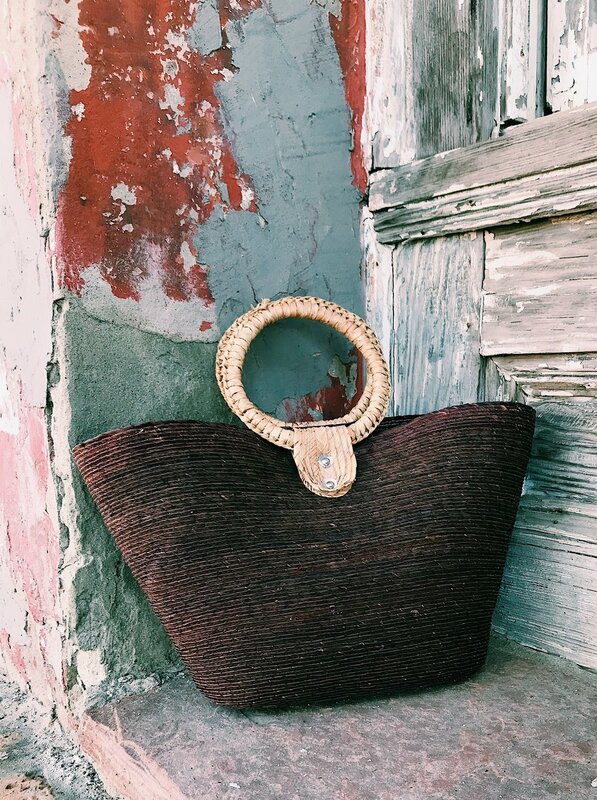 Mixing old and new pieces is a great way to stretch a budget and create a unique look. 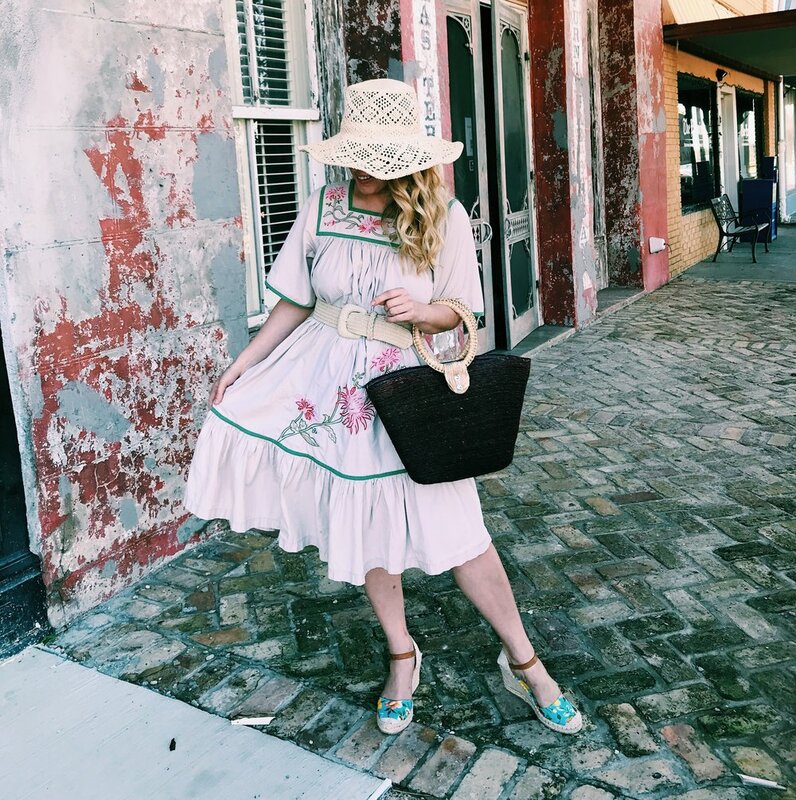 I’ve rounded up a few of my favorite embroidered dresses for you guys today to shop! 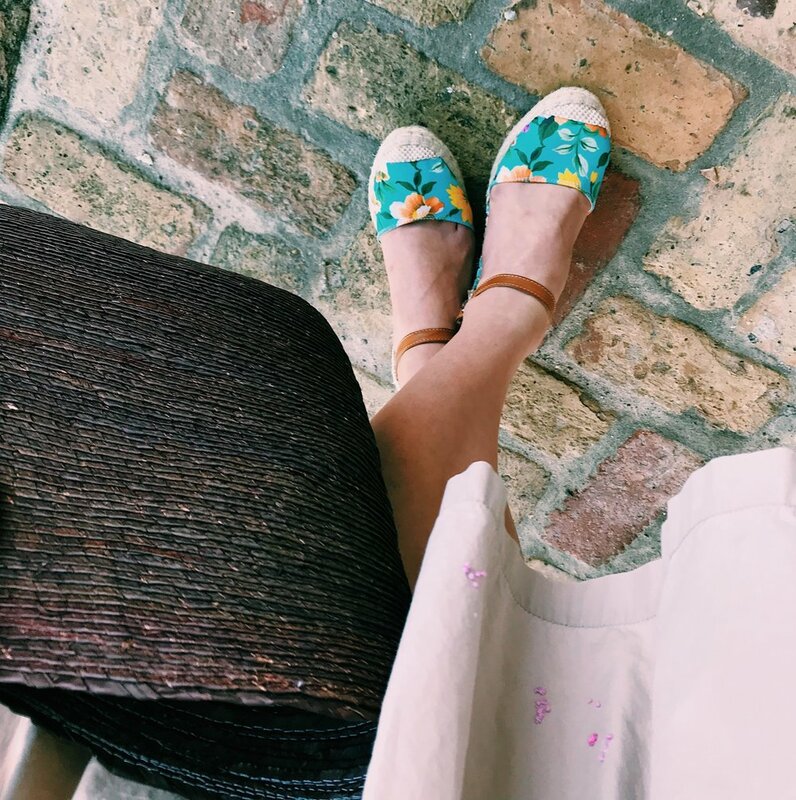 Espadrilles are my number one dressed up shoe besides a block heel featured last week on the blog. They are comfy, chic and come in a variety of heel heights, styles, and colors. I wore this pair last Spring when I visited Bayou Bend Museum and Gardens for the annual Azalea Trail. When I saw how perfectly they went with the vintage dress I was ecstatic. I prefer to belt tunic dresses so they don’t look like a giant tent and love the full skirt style for picnics, BBQ’s and sightseeing. This crocheted hat is from Free People and I found it last year when I was visiting one of my best friends in Seattle. I found a similar hat here good price point and doesn’t make your head hot but still offers coverage on your face from unwanted UV rays. You can easily pair it with slides, white jeans and a white button down top for a minimal Spring look or wear it with practically any floral dress. What are you looking to add to your Spring wardrobe?